Pamoja, which means “together” in Kiswahili, is a mid-size Kenyan community-based organization focusing on education and vocational training in very poor rural areas just West of Kisumu City, Kenya. PfID has partnered with Pamoja to develop our signature education project, 1Room. 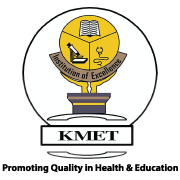 KMET is one of the oldest indigenous Kenyan NGOs in Kisumu County. With the support of The Rotary Foundation, PfID has partnered with KMET to adapt and pilot 1Room in an urban setting. SID is an internship and fellowship program for students and young professional who want to gain professional experience in the global poverty alleviation sector. Initially a student club at the University of Toronto, SID became an Ontario non-profit corporation in 2009. SID’s alumni founded PfID in 2013, and SID continues to recruit and prepares volunteers to work on projects for PfID and other charities. OLE is a 501(c)(3) charitable organization, headquartered in Cambridge Massachusetts, that advances quality universal education around the world through its Basic eLearning Library software, rich content libraries, and capacity-building activities. OLE has partnered with PfID as a US-based fiscal agent and technology provider for 1Room.